We are ready at Covering in Orlando now,awaiting your visiting for more business.Below is our booth show and our manager Kob Wang pictures. 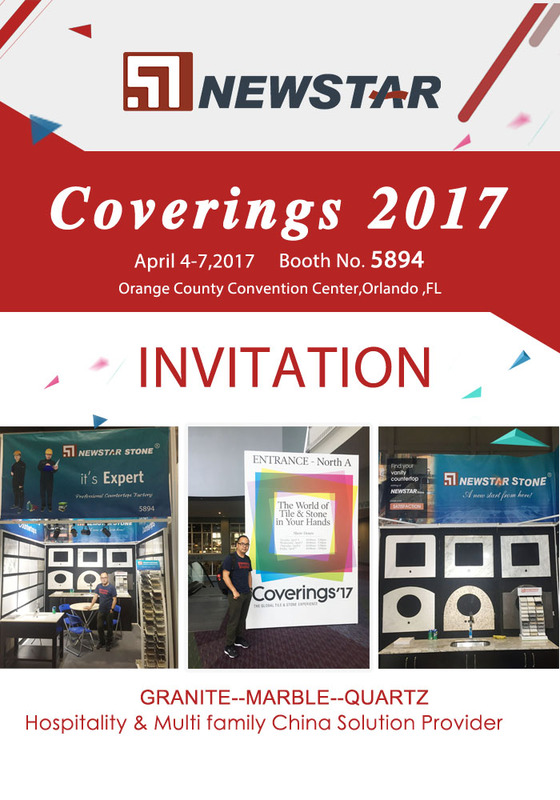 Will you go Covering fair in Orlando,FL during April 4-7th,2017? If you attend the booth,welcome visit our booth No.5894.Newstar stone is one stop shopping of granite/marble/quartz stone products. with rich experience prefabing countertops,vanity tops,table tops,tiles etc for USA hospitality and multi-family project. Welcome contact us and get more cooperation chance.